If you’re susceptible to allergens, odors, and other air contaminants, an air purifier can help. There are spaces and times, however, where using a full-size air purifier is impracticable. 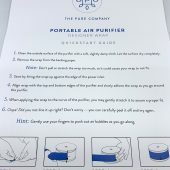 For those spaces and times, the Pure Company Portable Air Purifier can help. 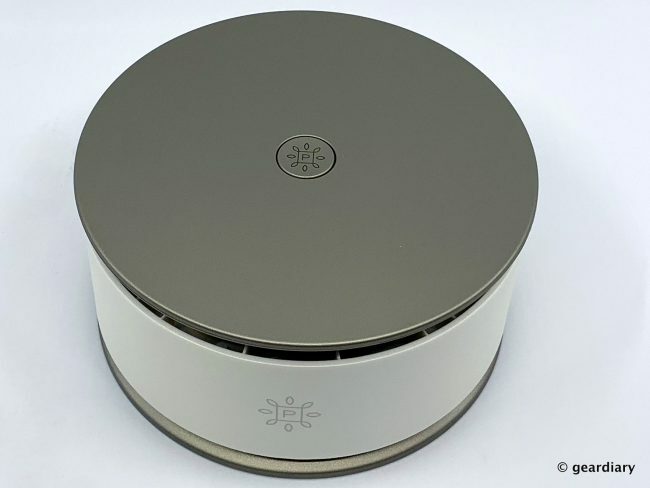 It uses filter-less ionization to clean the air, and you can place it or bring it almost anywhere. 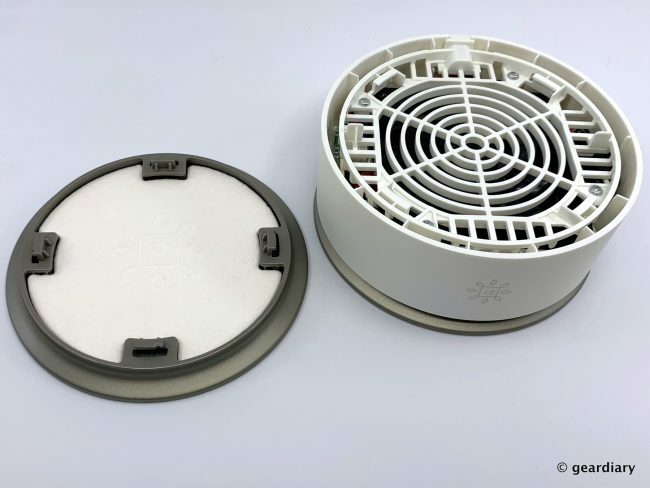 Perfect for use in bathrooms, offices, hotel rooms, laundry rooms, small bedrooms, the room that holds your cat’s litter box — any small space with access to electrical power, really — the Pure Company Portable Air Purifier is ready to go to work. But it is no one-trick pony. Let’s take a look. 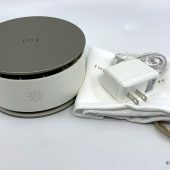 Included in the package are the portable air purifier, a power cord, a drawstring travel pouch, and a quick start guide. 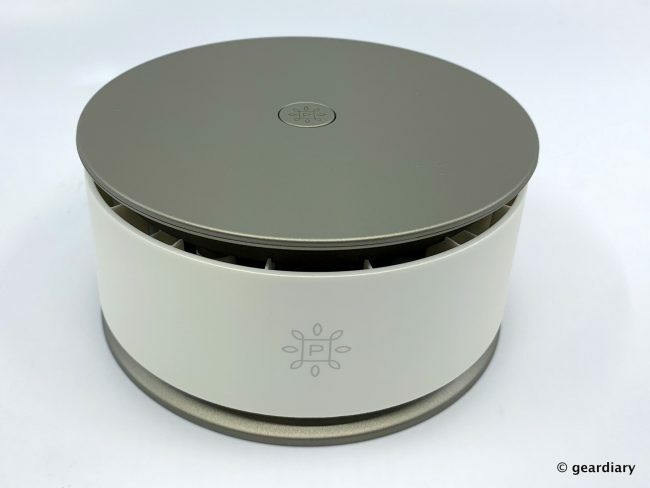 The portable air purifier measures 5″ across and 2.5″ tall. 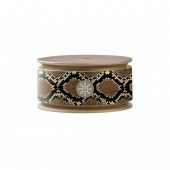 It is composed of matte white and silver plastic, and it weighs less than a pound. The power port is on the back. The on/off button is on the top. 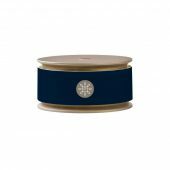 When the air purifier is turned on, the Pure Company logo will subtly glow and the purifier will produce a slight whirring sound. It’s a low-key white noise that’s great for sleeping, actually. The air purifier uses filter-less ionization (which creates ozone) to help clean the air with the goal of eliminating odors, allergens, and pollution. This may sound like a bunch of market-speak, but it’s a process that has been proven to work. In my testing, I found that it did help remove cat box odors, which is really saying something. Other than occasionally wiping the air purifier down with a soft, damp cloth, there is no needs for other maintenance or filters. For that reason alone, I’d say it’s a good buy. But that’s not all this air purifier can do. 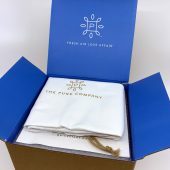 The Pure Company makes a line of 100% pure aromatherapy oils, so it stands to reason that their sir purifier would allow you to take advantage of them. Twisting the bottom of the air purifier clockwise unhooks the top from the base, which reveals an aromatherapy pad. If you would like to add a subtle scent to the air that you are purifying, you can add 3-5 drops of your favorite essential oil to the aromatherapy pad. This makes the air purifier a knockout for controlling odors and freshening the air you’re breathing. The matte white and silver look good, but if you like something a little less subtle, The Pure Company also offers four designer wraps. 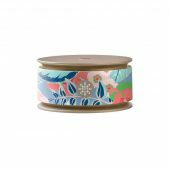 Priced at $19 each, these wraps personalize the look of your air purifier to work with your decor. Here’s how you apply the wraps. 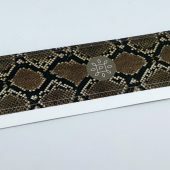 I received the snake skin print (which looks suspiciously like the western diamondback rattlesnake to me) and the navy blue wraps. 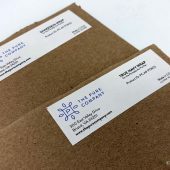 Clear directions are included in the packaging, and it is easy enough to apply the wrap. Here’s my air purifier all wrapped up and ready to clean. It’s not always possible to put a large floor-standing air purifier in spaces that could benefit from one, and most air purifiers are definitely not what anyone would consider portable. If you have a small space that needs attention, or if you travel a lot, a portable air purifier like this is the perfect solution. The added benefit of being able to add essential oils to the aromatherapy pad means that you can bring a little bit of home with you anywhere you go if you use this for travel. 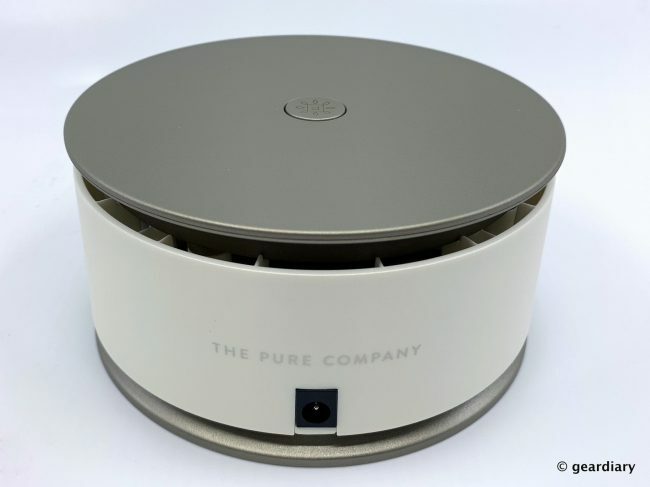 The Pure Company Portable Air Purifier retails for $99, and it is available directly from the manufacturer. 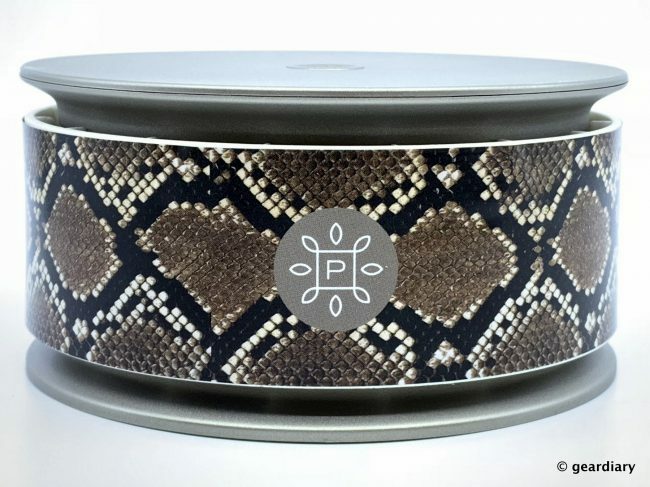 You can personalize the Portable Air Purifier with designer wraps for $19 each.